Dr.M.Omar Faruque was born on January 01, 1962 in Pakundia, Kishoreganj. He was a brilliant student and received his secondary and higher secondary education from the Mirzapur Cadet College, Tangail. 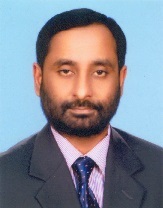 He completed his MBBS degree from Mymensingh Medical College in 1989. Dr. Faruque was the key person to reorganize the Delta Pharma Limited and was the founding Managing Director. The MAJOR achievements of this organization are the glorious contribution of Dr. Faruque. He has extensive involvement in the Medical & Pharma sector of Bangaldesh. He was a successful entrepreneur and excellent administrator. He never be erased from our memories and from his created “Delta Pharma Limited”.